Property 1: Great bright home with fabulous view of the Big Deschutes River! Easy walk to Sunriver Village and SHARC! Property 3: Easy walk to Sunriver Village and SHARC! Property 4: Spacious Home near the Deschutes River. Spacious 3 bedroom close to Cardinal Landing. Free SHARC Passes. Property 9: Spacious 3 bedroom close to Cardinal Landing. Free SHARC Passes. Light and bright home in quiet area near river with A/C. Free SHARC passes. Property 12: Light and bright home in quiet area near river with A/C. Free SHARC passes. Lodge style home on Big Deschutes River, private hot tub and gorgeous views! Property 13: Lodge style home on Big Deschutes River, private hot tub and gorgeous views! Fabulous home located in the heart of Sunriver. Free SHARC Passes. Property 14: Fabulous home located in the heart of Sunriver. Free SHARC Passes. Pet & Family-Friendly Home near golf course & bike trails! Free SHARC passes! Property 15: Pet & Family-Friendly Home near golf course & bike trails! Free SHARC passes! Property 17: Cozy single level cabin with bright, remodeled kitchen. Free SHARC Passes. Great location on quiet North end with easy access to Bend. Free SHARC Passes. Property 18: Great location on quiet North end with easy access to Bend. Free SHARC Passes. Incredible location! near Village Mall and SHARC. Free SHARC Passes! Property 19: Incredible location! near Village Mall and SHARC. Free SHARC Passes! Single level 4 bedroom home, close to SHARC and Village Mall. Property 20: Single level 4 bedroom home, close to SHARC and Village Mall. Great Location near Fort Rock Park. Pet Friendly! Includes 8 FREE SHARC passes. Property 22: Great Location near Fort Rock Park. Pet Friendly! Includes 8 FREE SHARC passes. Located near the Village Mall and SHARC. Pet friendly. Free SHARC Passes. Property 23: Located near the Village Mall and SHARC. Pet friendly. Free SHARC Passes. 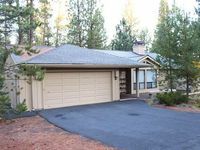 Property 25: Large open lodge style Sunriver home. Free SHARC Passes. Bright pet friendly home with air hockey and ping pong. Free SHARC Passes. Property 26: Bright pet friendly home with air hockey and ping pong. Free SHARC Passes. Property 27: Bright home nestled in the woods, with 3 master suites. Free SHARC Passes. Cute cabin near Village Mall. Hot Tub & Pet Friendly. Free SHARC Passes. Property 29: Cute cabin near Village Mall. Hot Tub & Pet Friendly. Free SHARC Passes. Property 30: Newly remodeled 2 bedroom and loft upper level condominium! Property 32: Luxury home near Meadows Golf Course. Free SHARC Passes! Family Home near Golf w/ Fireplace, Deck, BBQ and Hot Tub! Property 33: Family Home near Golf w/ Fireplace, Deck, BBQ and Hot Tub! Single level home near Fort Rock Park and SHARC. Free SHARC Passes! Property 35: Single level home near Fort Rock Park and SHARC. Free SHARC Passes! Property 40: Private home with golf course views. Free SHARC Passes. Spacious home in heart of Sunriver. Free SHARC Passes. 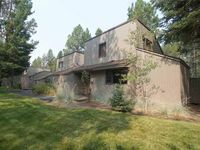 Property 42: Spacious home in heart of Sunriver. Free SHARC Passes. Property 43: Cozy Sunriver cabin a short walk to the Big Deschutes River! Free SHARC Passes. Property 45: Cozy, single level home close to SHARC and the Village! Free SHARC Passes. Cozy single level home close to North Store. Property 46: Cozy single level home close to North Store. Warm, comfortable home on north end. Free SHARC Passes. Property 47: Warm, comfortable home on north end. Free SHARC Passes. Ground level condo with beautiful common area. Free SHARC Passes. Property 50: Ground level condo with beautiful common area. Free SHARC Passes. Thoroughly enjoyed our accommodations! Very nicely maintained and well equipped condo, including great bike collection and hot tub! We would come back again for sure! Great home close to Edison Sno Park and Mt. Bachelor. Hot tub a welcome relief after skiing. Loved the SHARC facility, extremely clean and well run. Kitchen fully equipped. Small point would be to have a working stereo and updated TV. Beds are getting a little old too. Other than that, a great place to bring your fam.